Watch the marbles go! This listing is for the 80pc Marble Run set by Toysmith. 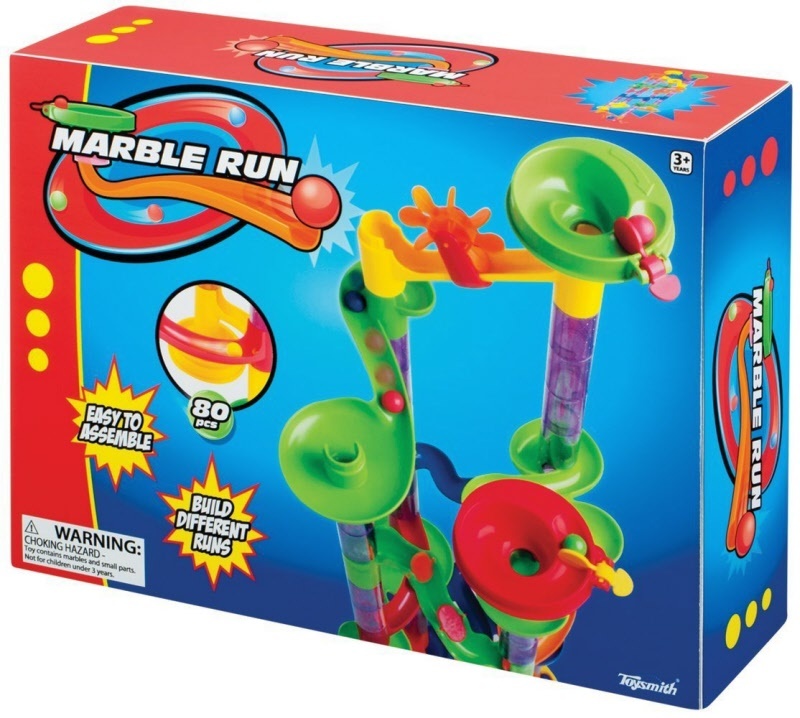 Countless combinations and hours of fun are what you can expect from Marble Run. Comes with everything you need to assemble and operate, including a whopping 30 marbles! Put together your greatest marble race track today with the Toysmith 80pc Marble Run.